John Starks – The Susie Reizod Foundation, Inc.
At a very young age, John Starks knew he wanted to become a professional basketball player. With the support of his family, specifically his mother Irene and grandmother Callie and through sheer determination he achieved his goal on October 1, 1990 whe he signed with the New York Knicks. In 2003, he retired as one of the most beloved players in New York Knicks history. To this day, he remains a fan favorite in the New York Area. During his outstanding eight(8) year career with the New York Knicks, Starks was named to the NBA All-Defensive Second Team in 1992-1993, became an NBA All-Star in 1994 and was awarded the League’s Sixth Man of the Year in 1996-1997. He averaged 14.1 points per game, while leading the Knicks in three point goals (982). In addition, he remains 11th in total points (8,489), 8th in assists (2,394) and 7th in steals (711) in Knicks history. 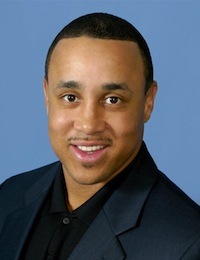 In the final minute of New York’s win over Chicago in Game 2 of the 1993 Eastern Conference Finals, Starks performed one of the most memorable “highlight” plays in team history – “The Dunk.” In that same year, the John Starks Foundation was established to provide positive opportunities for disadvantaged youngsters and communities.